What will 2014 bring to the Jewellery industry? It’s that time of the year. 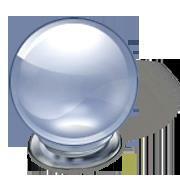 I get to gaze into my crystal ball to see what we might expect in 2014. I think that there will be many changes ahead, some predictable and some unexpected. Gaze into the future, what do you see? Silver will still be on the rise as more designers seek affordable price-points. The price of gold has dropped and will drop further…predicted to be hovering around $1000 per ounce. This is an uncomfortable price level for our industry. Many retailers have relied on over-the-counter buying of gold to help survive the slow sales. At this price, there is little incentive for the consumer to sell their gold. Yet the prices are still too high for them to consider buying gold jewellery. Diamonds will still be in a state of confusion while dealers sort out their new business models as DeBeers loses even more of its control of the market. Coloured diamonds will continue to be strong due to their actual rarity as compared to the perceived rarity of colourless diamonds. Auction prices will continue to break records, at least for a while. Lab grown diamonds will gain more of a foothold in the market and not just because of price. Millennials appreciate “greener” product sources. Mining for natural diamonds is one of the most ecologically damaging processes on the planet. Lab growth does consume a lot of energy but still has a much smaller carbon footprint than mined diamonds. Colour is on the rise and will continue for quite a while. More young couples are seeking coloured centre stones for wedding and engagement rings. Natural, untreated coloured stones will see drastic increases in price. Look for more record setting auction prices for truly collectable gems. Semi-precious gems and mineral cabochons are coming back into popularity as designers incorporate unique materials, colours and shapes into their work. All aspects of the jewellery industry will be strongly impacted by new technology. Of course there will be the obvious use of technology in treatments and synthesis coupled with new advances in laboratory detection. CAD/CAM will break free of specialists and enter the home. Very soon, most house-holds will have 3D printers capable of producing wax or plastic models. Consumers will design their own jewellery, print their waxes and have a jeweller cast and finish the piece. The next big business for jewellers and designers will be selling designer CAD files and servicing home printed models. The bottom line…I think this year will be better in many ways, but with significant challenges requiring new solutions. One thing is for sure, don’t expect the jewellery industry to return to what we all once considered normal. The new normal will be a moving target. We will have to continuously adjust our business models as we go along. Happy New Year, my friends…and good luck. You’ll need it.